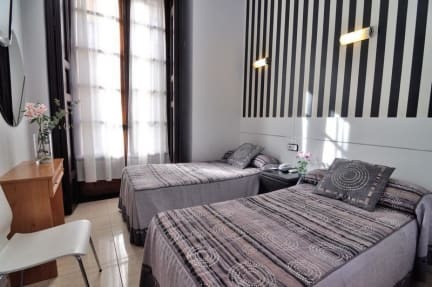 Hostal Castilla II Puerta del Sol, Madryt, Hiszpania : Rezerwuj teraz! * Don´t arrive in the check in day. 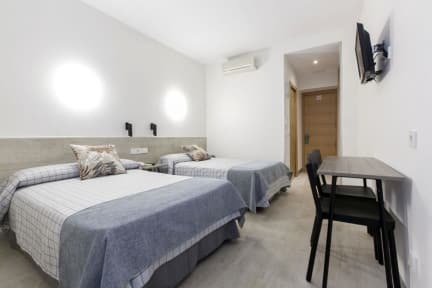 Perfectly official notice, the hostel Castilla is to 50 mts of the next Sol, tube station (lines 1,2 and 3), and very near the train station of ATOCHA RENFE. Check-out is at 12:00 ( noon ) always. * Triple room bed.....: 3 separate beds or * * * Double bed + extra bed. I stayed in the hostel for 5 nights and my double room end up being fully equipped apartment with the kitchen inclded. Apart of being in a great location the apartment was extremely cozy and comfortable, very clean and quiet. Definitely worth staying in this hostel.